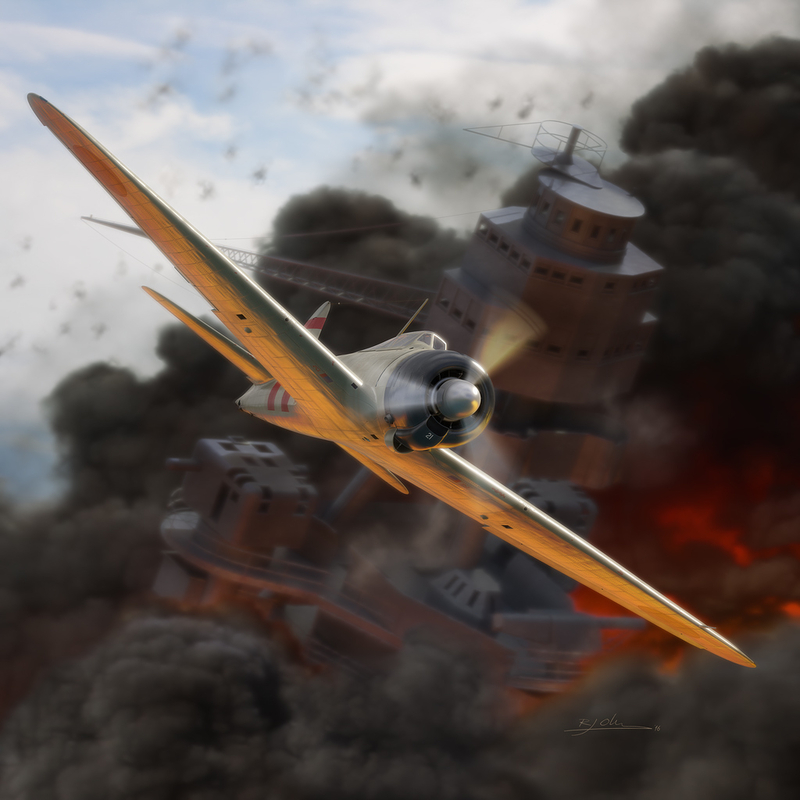 Exactly 75 years ago the United States of America were dragged into World War 2, when Imperial Japanese Navy aircraft struck Pearl Harbor in a surprise attack. Here, a Zero fighter from the aircraft carrier Kaga passes the burning USS Arizona, as it lines up to strafe the airfield at Ford Island. This image was created for the cover of a bookazine by author Jack Harrison, commemorating the 75th anniversary of this attack.